Until 1 pm, the CRTA election observation mission recorded irregularities at six percent of polling stations. Until 1 pm, individual incidents outside of polling stations were also recorded. These included cases where groups of voters were brought collectively to cast a vote and parallel lists of voters in front of polling stations handled by unidentified persons, which all happened in coordination with members of polling boards. 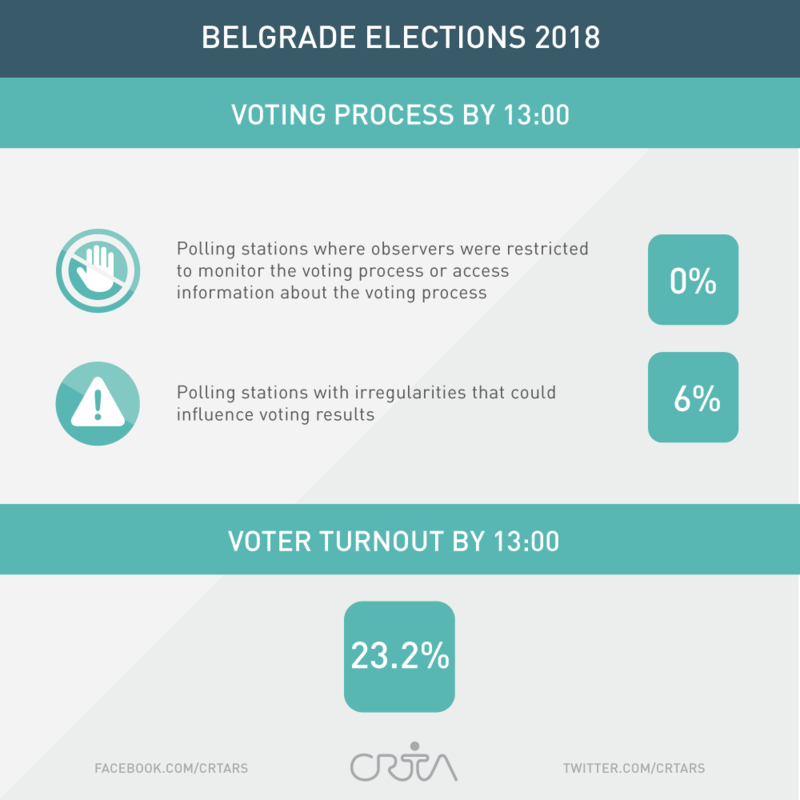 A total of 23,2 percent of citizens registered in the voters list have voted at the Belgrade City Council elections until 1 pm. Margin of error was +/- 0,3 percent. CRTA election observation mission will issue the next public statement at 6 pm. You may follow the conference live at the website CRTA.rs or at the Facebook page CRTA.rs.